There was a sea change in fine jewelry retailing during 2017. Large and small designers presented their collections to wider audiences in unique ways. Cartier and Van Cleef & Arpels put on public exhibitions of the type of High Jewelry that was once only shown to VIP clients and select press. 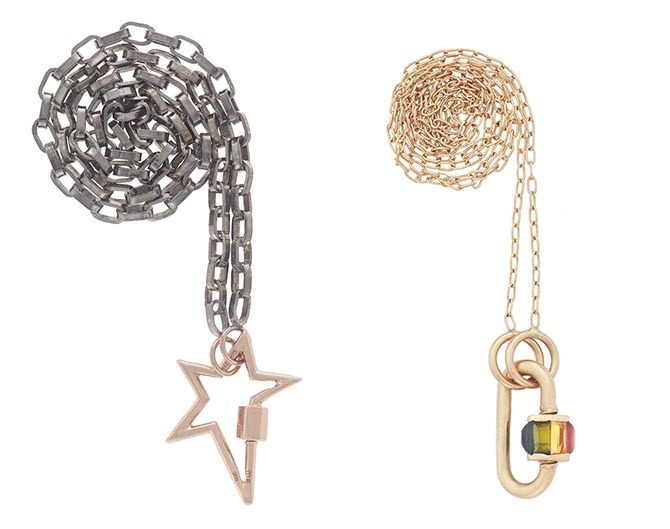 E-tailer Moda Operandi infused the excitement of Fashion Week into the most important jewelry trade show of the year, Couture in Las Vegas, by going live from the event and making new pieces from a handful of designers available the instant they debuted. Tiffany staged charming holiday pop-up shops at popular New York City tourist destinations—Rockefeller Center and Grand Central Station—stocked with pre-wrapped best sellers. Many designers have made their Instagrams shoppable as the social media app rolls out the new technology to ❤️ and buy. 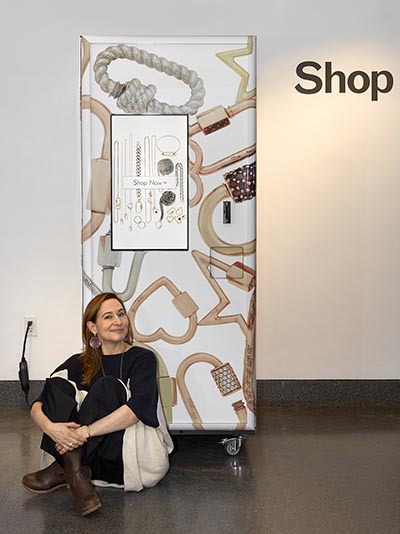 There is only one fine jewelry designer, however, who has put her work in a vending machine. 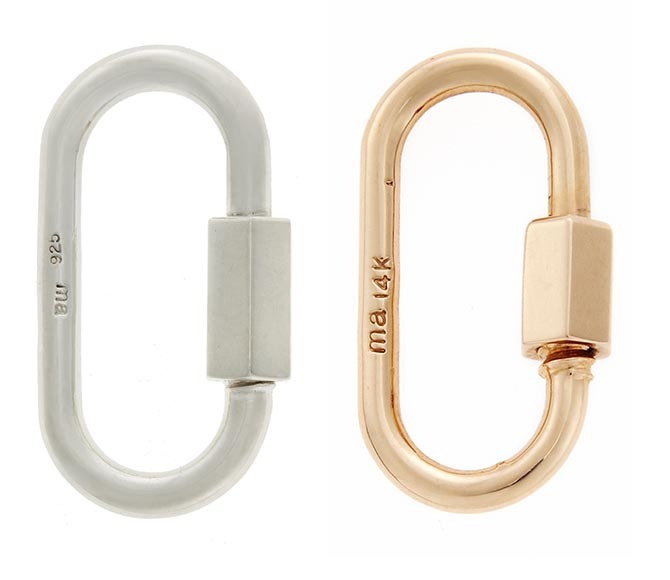 Marla Aaron, one of the talents I predicted would be huge in 2017, did not disappoint with the modern presentation of her silver, gold and gemset hardware-style jewels inspired by the carabiner lock. Find out about more about the cool sales outlet, that can be found at the Brooklyn Museum of Art just outside the Gift Shop, in my interview with Marla. What inspired the idea for the vending machine? Two years ago, when I was in Japan I was struck by the colorful vending machines everywhere, selling all manner of goods. On the plane home, I started searching for a company to help me make one. I felt given the industrial nature of my collection lent itself nicely to the vending machine format. How long did it take to produce the machine? We began seriously working on it in August of 2016 and it was just delivered. The biggest challenge was actually finding a unique place to put it. Besides everyone telling you it was a bad idea to do a fine jewelry vending machine were there any other funny moments that happened along the way of creating the machine? While I have a sense of humor and find most things funny, I was dead serious about the vending machine. 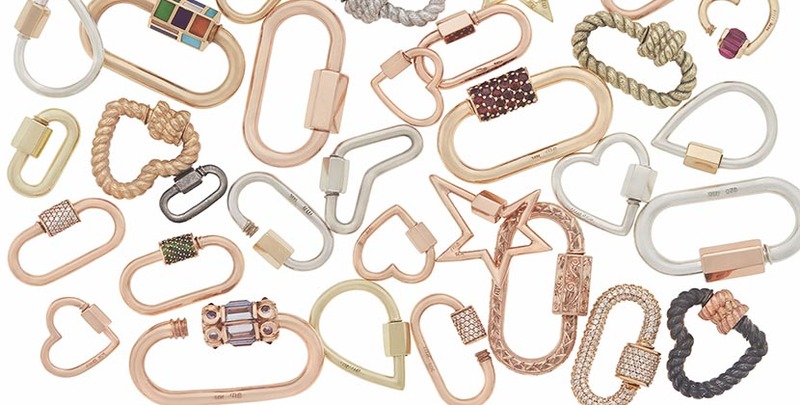 How did you decide which one of your jewelry designs would go into the vending machine? It changed a couple of times during the year. At first, I was concerned about our price point going over $500. I felt like that would be the outer limits, but at the same time I was seeing our average sale online increase exponentially. They are not entirely comparable but I think if we have crossed the price barrier online then the vending machine would not be such a stretch. Now there are seven products ranging in price from $100 for a sterling silver ear Cuffling up to $1,472 for our Total Baby Baguette Lock with rainbow set sapphires on a gold chain. The interesting part is that we can switch it. We can try different things, something I am especially interested in doing because I want to make more vending machines. This will not be the only one. What if someone wants to return a piece? What made you think of putting it in the Brooklyn Museum? What has been the response to the vending machine in the museum? Watch the video about Marla’s process that plays on a touch screen on the side of the vending machine below. Follow the designer on her Instagram @marlaaron as she documents people shopping at her vending machine and other adventures.